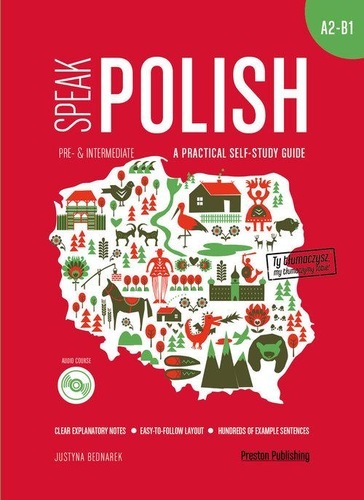 245 1 0 %a Speak Polish : %b for beginners : a practical self-study guide / %c Justyna Bednarek. 260 # %a Warsaw : %b Preston School & Publishing, %c 2019. 300 %a 163 strony ; %c 24 cm + %e 1 dysk optyczny (CD). 521 8 %a Poziom A2-B1.